Interfaces are back, or perhaps they never left. The familiar Socratic conceit from the Phaedrus, of communication as the process of writing directly on the soul of the other, has returned to center stage in today's discussions of culture and media. Indeed Western thought has long construed media as a grand choice between two kinds of interfaces. Following the optimistic path, media seamlessly interface self and other in a transparent and immediate connection. But, following the pessimistic path, media are the obstacles to direct communion, disintegrating self and other into misunderstanding and contradiction. In other words, media interfaces are either clear or complicated, either beautiful or deceptive, either already known or endlessly interpretable. Recognizing the limits of either path, Galloway charts an alternative course by considering the interface as an autonomous zone of aesthetic activity, guided by its own logic and its own ends: the interface effect. Rather than praising user-friendly interfaces that work well, or castigating those that work poorly, this book considers the unworkable nature of all interfaces, from windows and doors to screens and keyboards. Considered allegorically, such thresholds do not so much tell the story of their own operations but beckon outward into the realm of social and political life, and in so doing ask a question to which the political interpretation of interfaces is the only coherent answer. Alexander R. Galloway is Associate Professor of Media, Culture, and Communication at New York University. III. Are Some Things Unrepresentable? "Of vital importance to digital research; it should be included in any studies of the digital or mediated domain." "The Interface Effect fuses sophisticated contemporary theory with a detailed knowledge of the technics and techniques of digital media. Galloway is an important voice, and the book is sure to have a wide uptake among those interested in new media theory and contemporary aesthetics." "Employing a sustained, powerful methodology, The Interface Effect sparkles with original insights. 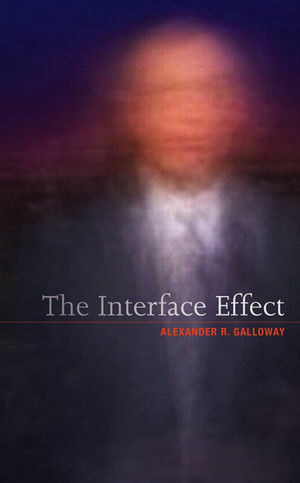 Galloway is interested not only in the effects that interfaces have, but also in them as themselves the results of cultural, technological, economic, and political forces. This double movement provides a way to connect the historical with the political, and the technological with both. This book is essential reading for anyone interested in new media studies, contemporary theory, and digital technologies."